Halloween’s just around the corner, and you can be sure that those of you who would love to throw one of those extravagant parties, you can always have fun with Halloween themed decor. Since all parties would not be much fun without its fair share of booze, why not ensure that your guests have a real fun time with the $9.99 Boo Cubes Ice Cube Tray? 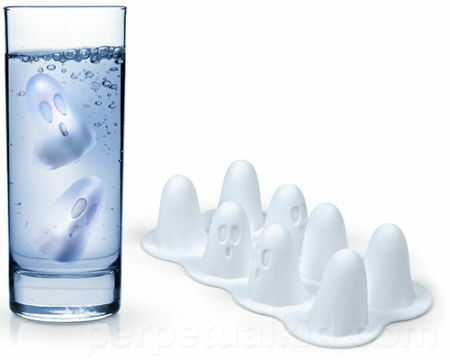 The name of this ice cube tray itself gives the game away, as it delivers spook-tacular ice cubes that resemble them cute Pac-Man ghosts which will eventually melt away with time. Made out of silicone, the Boo Cubes Ice Cube Tray would be able to create 8 icy apparitions that sends chills down your spine, literally!